Suddenly, the spotlight shifted to Crowhurst, the unlikely amateur who had apparently come out of nowhere to beat the professionals. The BBC had a crew on standby to record his homecoming and hundreds of thousands of people were expected to throng the seafront at Teignmouth to welcome him home. It was everything Crowhurst dreaded. As one of the winners, his books would come under much closer scrutiny, and indeed there was already some, including race chairman Francis Chichester, who already suspected something wasn’t quite right. 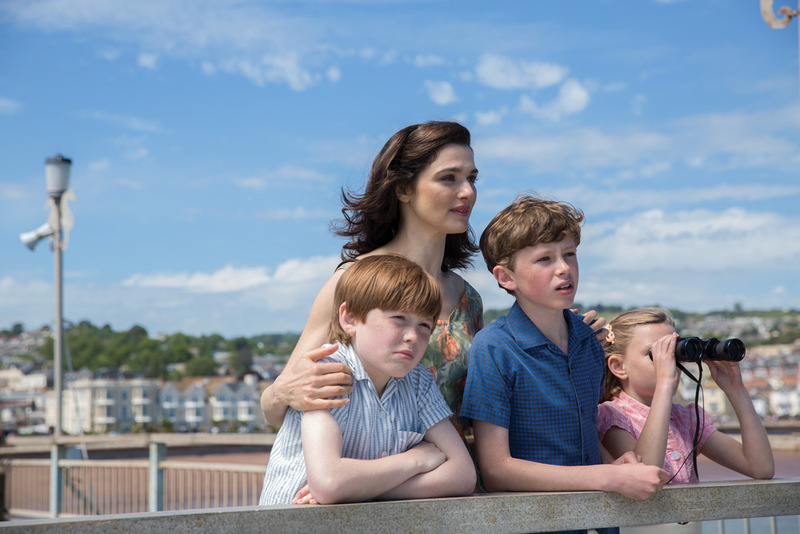 Rachel Weisz stars in The Mercy as Clare Crowhurst. There then followed a countdown, ending at 11:20:40 precisely. It’s not known what happened next, but it’s generally assumed Crowhurst jumped over the side of the boat to his death. His empty yacht was found by a passing ship on July 10 with two sets of logbooks on board: real and fake. It was left to Sunday Times journalists Nicholas Tomalin and Ron Hall to piece together what had happened and to reveal to the world Crowhurst’s elaborate hoax. With Crowhurst and Tetley both out of the race, Knox-Johnston, on his slow wooden tortoise of a boat, was the only person to finish the race and was duly award both prizes, though he subsequently donated the £5,000 cash prize to Crowhurst’s widow. The Golden Globe race generated enormous public interest at the time, and the discovery of Crowhurst’s boat was front page news. It’s a fascination that has continued almost unabated to this day. The French film Les Quarantièmes Rugissants, based on the Crowhurst story, was released in 1982, while at least five plays have picked up the theme, as well as the 1998 opera Ravenshead. There have been several books published about Crowhurst and the race more generally, although none of them add anything substantial to the story told by Tomalin and Hall in their 1970 book The Strange Story of Donald Crowhurst. In 2006, the acclaimed documentary Deep Water incorporated contemporary footage of the race, including some shot by Crowhurst during his voyage, and in 2017 director Simon Rumley released his own stylized take on the story, simply called Crowhurst. The Mercy, then, is only the latest take on the Crowhurst saga, although with Firth and Weisz on board, it is the most high profile. So how does it compare to previous efforts? As you’d expect of such a mainstream movie, the focus is firmly on the psychological drama rather than on the sailing, which is probably just as well considering how often films get the details of sailing wrong. There are some minor technical mistakes—Chichester was not the first person to sail around the world singlehanded, and the prize for the first competitor to finish the race was a trophy, not £5,000—but the sailing scenes are generally quite convincing. More importantly though, The Mercy is a captivating psychological drama, which shows how, through a series of small steps, a person can box themselves into a corner from which there is no escape. It’s this humbling of a deluded but essentially well-meaning man that gives the story such resonance and has inspired artists and writers for the past 50 years. For, as anyone who has sailed out of sight of land knows, the sea has a knack of bringing out our inner demons. There is a Crowhurst in us all. Off the Deep End: A History of Madness at Sea by Nic Compton is published by Adlard Coles. The Mercy is expected to make its U.S. debut in summer.